EconomicPolicyJournal.com: The Myth of Tax "Reform"
The Myth of Tax "Reform"
“Mainly a conspiracy of prehensile charlatans to mulct the American taxpayer.” And we should also bear in mind that all acts of government, however wor­thy they may seem, have a way of winding up solving no problems and only making matters worse. Working within current tax realities, the reformers’ plans are varied and change nearly daily, as they meet conflicting political pressures. But whether they be Kemp-Kasten, Bradley-Gephardt, the Treasury plan of fall, 1984 (Regan, or Reagan I), or the final Reagan plan of spring, 1985 (Reagan II), there is one common and seemingly simple goal: that every person or group should pay the same proportional tax on their net income, and that all deductions, exemptions, and shelters be abolished in the name of this uniform proportional tax (a “flat tax with no exemptions”). The flat tax reformers have much in common with militant ide­ologues that we have become all too familiar with in the twentieth century. In the first place, they are egalitarians in this case, assuming it to be sinful or at least grossly “unfair” for any person or group to escape the scythe of the great uniform tax. Second, and along with this egalitarianism, they assume in brusque and lordly fashion that they alone represent and embody the “general interest,” and that all objections to a uniform flat tax may be quickly dismissed as the self-interested croakings of the “special interests.” It doesn’t seem to matter if the “special interests” encompass most of the American populace; they must be unceremoniously swept aside to achieve the flat tax paradise. The fact that most of the impetus for this and other reforms comes from academic economists puts the icing on the flat tax cake. Academic idealists have always been accustomed to sweeping aside everyone else’s interests and concerns as petty and “special,” while they speak automatically for the larger interests of mankind. At best, the reformers cavalierly overlook the enormous amount of harm and pain they will inflict in the course of their grandiose reform. One example: the flat tax would impose an enormous amount of harm and damage on every American homeowner. In their wisdom, the flat taxers have decided that deduction of interest payments on your mortgage is a “subsidy” granted by the tax system, and that your true net income would permit no such deduction. They have also concluded that the unwitting homeowner also enjoys another “subsidy” from the government: failure to tax his “imputed rent”; that is, the amount that he would have had to pay in rent if he had been renting the house instead of owning it. One of the many prob­lems with the latter proposal is that the poor homeowner is never able to pay his “imputed” taxes; no, his taxes would have to be paid in cold cash, even though his income is “psychic” and not earned in money. But we press on. A third body blow to the homeowner would be the flat taxer’s insistence on eliminating federal tax deductions for state and local taxes, most of which are property taxes on one’s home. Thus, we have a three-fold tax increase inflicted on the home­owner, and the effect of this one-two-three punch would be a perma­nent lowering of the market value of one’s home, which consists of the present value of expected future returns from the house. These are but a few of the many grave consequences and dam­ages that would flow from the reformers’ measures. But the reform­ers literally do not care; no pains (almost invariably suffered by others) must be permitted to block or delay the speedy achievement of their Utopia. Any alterations are only grudging concessions to the fierce resistance of the “special interests” to the advent of the flat taxers’ New Jerusalem. Thus, the Regan plan of fall, 1984 (Reagan I), proposed to increase drastically the capital gains tax, toward the ideal of raising it to the precise level of the income tax, and also suggested a sharp lowering of oil depletion allowances. Great resis­tance was offered to the plan by risky venture capitalists, who would be particularly crushed by a high capital gains tax, and by the similarly damaged oil interests, always considered sinister in the popular imagination. As a result, the reformers were forced to aban­don these two aspects of their Grand Plan in Reagan II. But in the long run, these forced retreats are not important; their goal—a uni­form across-the-board flat tax—always remains the same. But why is this plan so grand? So vitally important that our pain and hardships should be treated as nothing? Here the reformers offer little argument. Basically, their reasons boil down to two: their tax system would be simple (you could calculate your tax on a post­card), and above all, it would be fair. But the joke is on us, for the reformers’ system would really in no way be simple. We would still have to go through a complex and murky maze. For the key to the flat taxers is that the uniform proportionate tax is to be levied on all net income. But what is net income? The answers are far from simple, and good arguments can be found on either side. The interesting and crucial fact is that, on each of these arguments, the flat taxers invariably come down against the harried taxpayer, and in favor of bringing ever more of our income and assets into the greedy maw of the taxing Leviathan State. Thus, are “capital gains” income? The reformers say yes, and call for taxing it to the same extent as ordinary income. Western Europe has not gone down the economic drain partly because its capital gains taxes have always been far lower than its income taxes, but this fact does not and cannot count in the harsh calculus of our reformers. Should capital gains be taxed as they accrue on our books or only as they are realized in cash? Once again, the reformers opt for accrual, grabbing our assets at an earlier date, and heedless of our problem of paying taxes in money while our “gains” have only accrued in our psyche or on paper. Are the losses in our tax shelters phony, or should they be treated as real losses to write off our income? The reformers insist that they are phony, and that therefore they must be disregarded when our taxes are estimated. But who is to say so? Who is to say that if I buy a horse farm in Virginia, and suffer losses, that these are losses I welcome in order to reduce my taxes? Who is equipped to look into my heart and mind and find out if these losses are “genuine” or not? And since when has the IRS acquired occult powers, along with the rest of its totalitarian armamentarium? And what about the cherished American institution of the three­martini lunch? Reformers from Carter to Reagan have tried to crush that lunch, and to claim that these are not genuine or worthy business expenses. Net income is arrived at by deducting costs from gross income. But is the three-martini lunch a “genuine” cost of business, or is it a sneaky way of earning income that is not subject to tax? Who knows? Who knows how much genuine business, if any, is conducted at such lunches? Once again, the reformers know! And they know that such deductions can be swept away. And there is the problem of the corporation. Corporations are entities. Should their income be taxed at the same rate as personal income? Economists have come to recognize that there is no living thing called a corporation. A corporate income tax is a double tax upon stockholders, first as a “corporation,” and next upon their personal income. But while economists have been increasingly call­ing for abolition of the corporate tax, the reformers have in their wisdom decided that since all entities’ income must be taxed uni­formly, the corporate income tax must be included and even raised if necessary to be taxed at the same rate. The major argument of the flat taxers is that it is “fairness” that demands a swift forced march toward their ideal. “Fairness” is worth almost any cost. But it is strange that this ethical argument comes from a profession (academic economists) who have made a career of loudly proclaiming that all of their doctrines are “value-free sci­ence” that have nothing to do with ethics. So when did they become expert ethicists? Indeed, the fairness argument is generally and blithely assumed to be true, after which the reformers can gleefully denounce every resister to higher or broader taxes as embodiments of sinister “special” interests. One argument holds that fairness demands that everyone pay his or her equal share of the “services” of government. Let us set aside for a moment the surely important point that these “services” are often dubious, are inordinately expensive, and sometimes mean that the taxpayer is forced to pay for his own surveillance and oppression. Since when does “fairness” demand that everyone pay the same proportion of his income for a good or service? Mixed in with the argument for fairness is the view that government should do nothing to penalize one industry or occupation, or subsidize another. This neutral-to-the-market argument puts the flat taxers in the guise of militant adherents of free enterprise. This sounds admirable, but why does it imply that every­one should pay the same proportion of his income? When David Rockefeller and I buy a loaf of Wonder Bread at the supermarket, each of us pays the same price; no one is there to inspect our annual incomes and levy a proportionate fine. No one forces Rockefeller to pay $1,000 for a loaf of Wonder Bread, just because his income is a thousand times that of the next man. The free market tends toward uniform and equal pricing for each product; one price for everyone, whatever that person’s race, creed, class, color, or income. Why should it suddenly be different for taxes? In short, a quiet but highly important change has here been made in the concept of “equal,” from equal and uniform price for all on the free market, to equal proportion to income in the hands of the flat taxers. At the heart of the fairness and neutral-to-the-market assumptions of the flat taxers is their express desire to eliminate subsidies, which are assumed to be both evil and non-neutral to the free market. The prob­lem here is an equivocation on the term “subsidy.” It’s certainly true that our tax and budget system is riddled with subsidies, properly defined as taxing one group of people to line the pockets of another, or robbing Peter to pay Paul. If you or I are taxed to subsidize tobacco growers, or highway builders, or contractors, or welfare recipients, then these are indeed subsidies, cases where productive people are being robbed by the government to support groups who function, in effect, as parasites upon the producers. These are subsidies that should be elimi­nated forthwith. But what about, say, deductions for payment of interest on mortgages, tax credits for investment, or deductions for payment of state and local taxes? In what sense are they “subsidies”? Instead, what is really happening here is that some people—homeowners, investors, or state and local taxpayers—are graciously allowed by the government to keep more of their own money than they would have otherwise. I submit that being allowed to keep more of your hard-earned money is not a subsidy in any true sense; it simply means that you are being fleeced less intensely than you would have been. If a robber assaults you on the highway, and is about to run off with all of your funds, and you persuade him to let you keep some bus fare, is he “subsidizing” you? Surely not. Being allowed to keep your own money can scarcely be called a subsidy. We are now able to see through two very different senses of the concept of “special interest.” It is all too true that the tobacco planter or the highway contractor who eagerly demands government funds are special interests aggressively dedicated to fleecing the taxpayer. But the investor, or the homeowner, or the venture capitalist, or whatever, who lobbies to be able to keep ‘more of his own money is a “special interest” in a very different sense. They are resisters properly dedicated to defending their own rights and assets against government assault. “Special” they might be, but they are, whether they know it or not, engaged in the noble effort of defending the rights and the freedoms of all of us against assault and depredation. 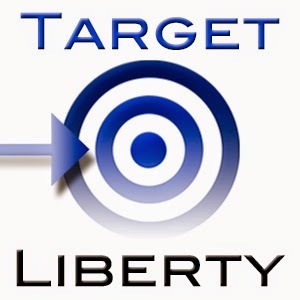 By focusing on defenders of their property and rights as alleged subsidy-seekers, the flat taxers are engaging in a strategy of “divide and conquer.” The reformers have taken a growing movement of rebellion, resentment, and call for lower taxes and split the taxpayer forces by encouraging one set of us to seek out and persecute the other set. The flat taxers have managed to shift the focus of discussion from “lower taxes for all” to the proposition: “If you want your taxes to be lower, seek out and confiscate the assets of those bad people whose taxes are ‘unfairly’ low.” The focus becomes raising the other guy’s taxes instead of lowering yours and everyone else’s. This clever ploy of the high taxers unfortunately seems to be working. The flat taxers like to proclaim their plan to be “revenue-neutral,” that is, the overall tax burden will not change. The lowering of some taxes on upper income groups, then, must be offset by “broadening the base,” or by extending the tax burden to more people and sources of income. But who is to guarantee that once the base is broadened, and more income sources are brought under government’s sway, it will not follow its natural proclivities and once again raise taxes for everyone? It is ironic that the slogan “close the loopholes,” which used to be a hallmark of left-liberalism, has now been adopted by the Reagan administration and by the flat taxers. The great free-market economist Ludwig von Mises once rose up in a conference on taxation that devoted much energy to the closing of tax loopholes, and asked the crucial question: “What is a loophole?” He answered that the as­sumption of the loophole theorists seemed to be that all of every­one’s income really belongs to the government, and that if the government fails to tax all of it away, it is thereby leaving a “loop­hole” that must be closed. The same charge applies to the deduc­tions, exemptions, credits, and all the other loopholes out of a flat tax so condemned by our tax reformers. Let us now consider the vexed question of ending deductibility of state and local taxes—a vital point to our reformers—because ending deductibility will provide a huge bonanza for our federal tax collectors. The flat taxers argue that by allowing deductions, the citizens of low-tax cities and states are “subsidizing” the citizens of high-tax states, and that an end to deductions will put all regions on a plane of fairness and uniformity. Governor Mario Cuomo, on behalf of the notoriously tax-oppressed citizens of New York, ac­cepted the charge of subsidy, and then eloquently threw it back to the critics of New York, asking, in effect, “What’s wrong with a sub­sidy? Are you against the citizens of New York subsidizing tobacco farmers in North Carolina, or subsidizing highway contractors in Iowa?” As a rare consistent supporter of left-liberalism, Cuomo was able to reveal the hypocrisy of those whose attacks on subsidies habitually suffer from a convenient double (or triple) standard. Be­ing a left-liberal, Cuomo was not equipped to go one step fur­ther—to step outside the mammoth subsidy system and ask the crucial question: Are Iowans really subsidizing New Yorkers under deductibility? Or are the oppressed and cruelly taxed New Yorkers being spared from being doubly taxed on their own income? The average New Yorker is not responsible for his high taxation; he suffers unwillingly under the highest sales, income, and property taxes in the country. Why should he suffer more than the average Iowan? What is so “fair” about that? We are, of course, just as ardent a champion of slave freedom as the people of Group A. But we believe it is unfair for one group of slaves to escape, while the remainder of their brothers and sisters remain in slavery. Therefore, we hold that these escapees should be shipped back into slavery until such time as all the slaves can be freed together and simultaneously. What would we think of such an argument? To call it specious would be a kindly understatement. But I submit that believers in the free market are arguing in precisely the same way when they say that all taxes must be uniform, and that all specific tax deductions or exemp­tions must be canceled until such time as everyone’s taxes can be reduced uniformly. 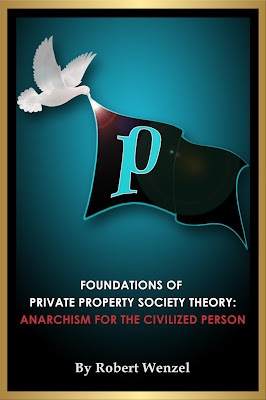 In both cases, the egalitarians are arguing not for equal freedom but for equal slavery or equal robbery in the name of “fairness.” In both cases, the rebuttal holds that the enslavement or plunder of one group can in no way justify the enslavement or plunder of another, be it in the name of fairness, equity, or whatever. 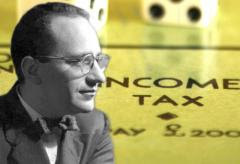 The most sophisticated argument of the flat tax reformers is that deduc­tions, exemptions, and loopholes distort the allocation of resources from what it would be on the free market, and therefore should be abolished. This is an integral part of the neutrality-to-the-market argument, and is particularly insidious, because it makes the reform­ers appear to be knowledgeable and dedicated adherents of the free market. Let us take, for example, two credits or deductions: an investment tax credit, and an energy credit. The reformers argue that the result of the “subsidy” of tax credits is that more resources are now going into investment or energy, and less are going into other areas, than would on the free market, and that therefore these credits should be eliminated. It is true that more resources are now going into investment, energy, and a slew of other areas, than would have in a purely free market system. But the reformers leave out a crucial point: what is the alternative? If investment, energy, or other credits or deductions are abolished, resources will not automatically go into more produc­tive areas; instead, they go into government, via higher taxes. In short, the alternatives to energy credits are not merely Energy or All Other Consumption and Investment. They are threefold: Energy, Other Forms of Expenditure, and Government. And a higher tax will simply be wasted, thrown down the rathole of unproductive and profligate government spending. 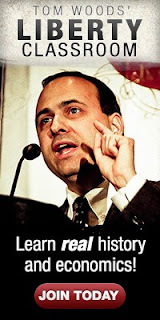 In short, there is no waste—no misallocation—like government; anything else would be an im­provement. The policy conclusions that flow from our analysis are diametrically opposed to those of the flat taxers. In looking at the history of reform and at the arguments of the flat taxers, one can almost sympathize with Richard L. Doernberg, professor of law at Emory University, who throws up his hands and concludes that “We have a lousy system; let’s leave it alone or it will get worse.” Doernberg urges that the current tax code, as bad as it is, should remain precisely the way it is forever, so that at least people will know the score and be able to plan around its provisions. But we can do better than that. We have to look differently at taxation. We have to stop looking at taxes as a mighty system for achieving social goals, which merely needs to be made “fair” and rational in order to usher in Utopia. We have to start looking at taxation as a vast system of robbery and oppression, by which some people are enabled to live coercively and parasitically at the expense of others. We must realize that from the point of view of justice or of economic prosperity, the less people are taxed, the better. That is why we should rejoice at every new loophole, new credit, new manifestation of the “underground” economy. The Soviet Union can produce or work only to the extent that individuals are able to avoid the myriad of controls, taxes, and regulations. The same is true of most Third World countries, and the same is increasingly true of us. Every economic activity that escapes taxes and controls is not only a blow for freedom and property rights; it is also one more instance of a free flow of productive energy getting out from under parasitic repression. That is why we should welcome every new loophole, shelter, credit, or exemption, and work, not to shut them down but to expand them to include everyone else, including ourselves. If, then, the standard for proper reform is to lower any and all taxes as much as possible, how might government services be supplied? To answer we must take a very hard look at government services. Are they “services,” or are they embodiments of repression? Or are they “services,” at best, that no one really wants? And if they are genuine services, wouldn’t they be supplied more efficiently, as well as voluntarily, by private enterprise? And if our friends the tax reformers are so all-fired concerned about the free market, shouldn’t they answer this question: Why not put your emphasis on privatizing and thereby drastically lowering/eliminating government services? Wouldn’t that be really neutral to, and consistent with, the free market? How do we explain the fact that if we go back to the earlier years of our nation, the level of government spending and taxa­tion—even adjusted for inflation and population growth—was enor­mously less, on every level of jurisdiction, than it is today? And yet the Republic survived, and even flourished. We must, in short, get past the tax reformers’ favorite ploy of revenue neutrality. Why must total revenue remain the same? In­stead, it should be lowered drastically, and as much as possible. We now return to the old question of “fairness”: if there are any taxes or government spending left after our drastic cuts, how should the remaining taxes be levied? Here we reopen the point that fairness is the closest possible approximation to neutrality toward the free market. One method would be user fees, so that only direct users would pay for a service and there would be no extra coercion on non-users. For the rest, we should look at the free-market system of one price for a good or service. We might then suggest a system not of equal proportional income tax, but of equal tax, period. This is the age-old system of the “head tax,” in which every citizen pays an equal amount each year to the government, in payment for whatever services may have been conferred upon him from governments’ existence during that year. The abolition of the income tax would mean the end of snooping and surveillance by the IRS as well as the elimination of vast economic distortions and oppression caused by the system; the end of sales and property taxes would also be a great boon to the freedom and prosperity of Americans. We would then and only then have a tax system that truly, and at long last, fulfilled the proclaimed goals of our flat tax reformers. For here would be a system that would be truly simple, truly fair, and genuinely neutral to the free market. Short of that goal, we could settle temporarily for former Congressman Ron Paul’s (R-TX) inter­esting variant of the flat tax proposal: reducing all income tax rates to 10 percent, while at the same time keeping all existing deductions, credits, and exemptions. The principle should be clear: to support all reductions in taxes, whether they be by lower rates or widening of exemption and deductions; and to oppose all rate increases or ex­emption decreases. In short, to seek in every instance to remove the blight of taxation as much as possible. Here is one reform, at least, that could not fall under Mencken’s definition of a plot to injure the American taxpayer.